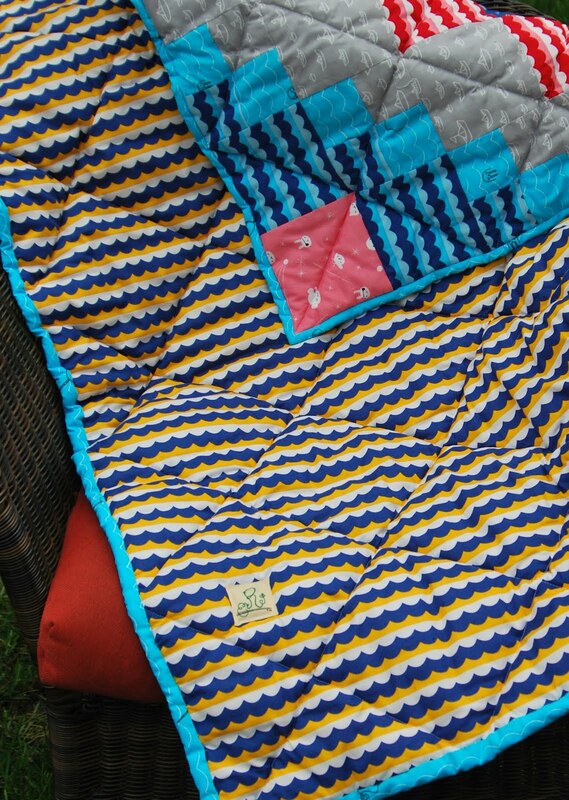 This is my favorite quilt to date. Seriously. I made it for a friend who is having a baby, and was SO happy to have an excuse to buy and use Seven Seas fabric designed by Michele Brummer Everett for Cloud 9 Fabrics. The whimsy is just perfect and the characters just make me smile. I bought the fabric at Hawthorne Threads online. I did the back with one continuous piece because I didn't get to use this fabric in the front. 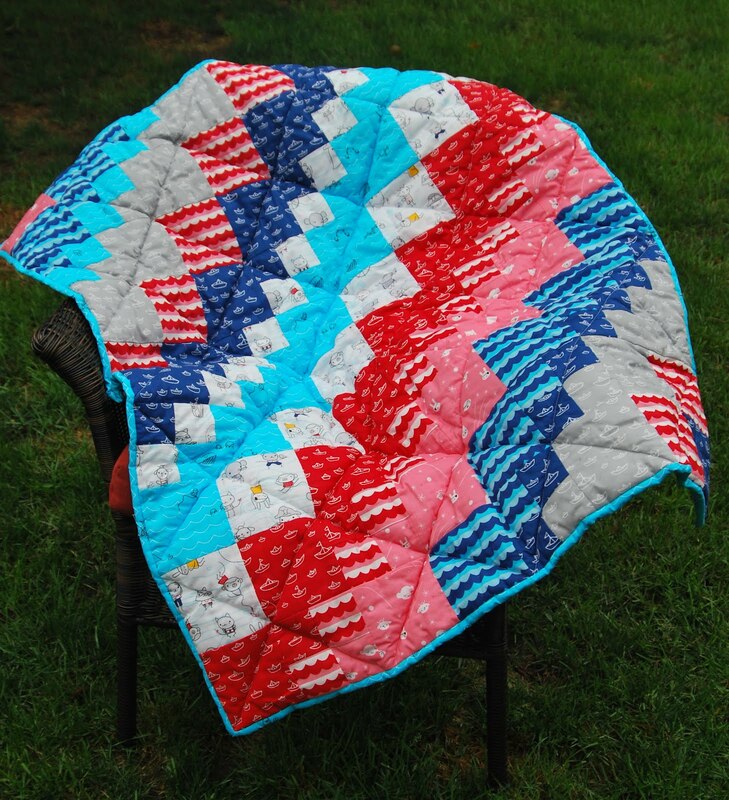 The pattern I got at Fat Quarter Shop and is called Square Dance by Bits 'n Pieces. It uses 8 fat quarters and it's a great, quick pattern and is the perfect size for a baby quilt. Look how cute these guys are peeking out of the binding!! My favorite print in the line is Laddies and Poppets. The use of white with all of the primary colors is just perfect. I quilted this myself, which I am very proud of. I LOVE LOVE LOVE how it came out. It took me 10-12 hours total to make. What do you think?